Sunday, May 19, 2019, 3:00pm at Plymouth Church UCC, Seattle. reSound, a Northwest Chamber Ensemble, is honored to present Annelies, James Whitbourn’s stunning full-length choral work with libretto compiled and translated by Melanie Challenger from Anne Frank’s The Diary of a Young Girl. This moving journey as told by Annelies Marie Frank, known to the world as Anne Frank, through the collection of letters and private thoughts recorded in her diary between 1942 and her untimely death in early 1945 at the age of 15 in Bergen-Belsen concentration camp, has inspired millions of readers since it was first published in Dutch in 1947 by Anne’s father, Otto Frank. Melanie Challenger’s libretto, set to music so carefully and beautifully by James Whitbourn, captures the essence of Anne’s humor, her fears and observations - and her unwavering hope when facing one of the worst horrors that the modern world has endured. Featuring soprano soloist Stacey Mastrian, violinist Luis Nenninger, cellist Tim Pizzichemi, and clarinetist Beverly Setzer, with reSound’s Founding Music Director, Dr. Stephen Marshall-Ward, on the piano. Annelies will be conducted by reSound’s Assistant Music Director, Paul Georgeson. Annelies will be presented on Friday, May 17, 2019, 7:00pm at Trinity Lutheran Church, Lynnwood, Saturday, May 18, 2019, 7:00pm at Temple B’nai Torah, Bellevue, and on Sunday, May 19, 2019, 3:00pm at Plymouth Church UCC, Seattle. Annelies is funded in part by the Cantor David Serkin-Poole Music Fund. Tickets are now available through Brown Paper Tickets (BPT), linked below and in each Event on our Events page. All seats are general admission. Until April 30th, early-bird tickets are $20 online. After April 30th, tickets are $25 online (available until 24 hours prior to each performance). Tickets will be $30 at the door (cash, check, or cards accepted at door). $15 each for groups of 10 or more tickets purchased at the same time. In BPT, use Discount Code “group” (will only work when purchasing at least 10 tickets for same event). Tim Pizzichemi completed his Bachelors of Music Performance at the University of Texas at Austin and his Masters of Music Performance at Southern Methodist University. Tim has performed in several orchestras in the states of Texas and Washington, including the Plano Symphony and Saratoga Chamber Orchestra. 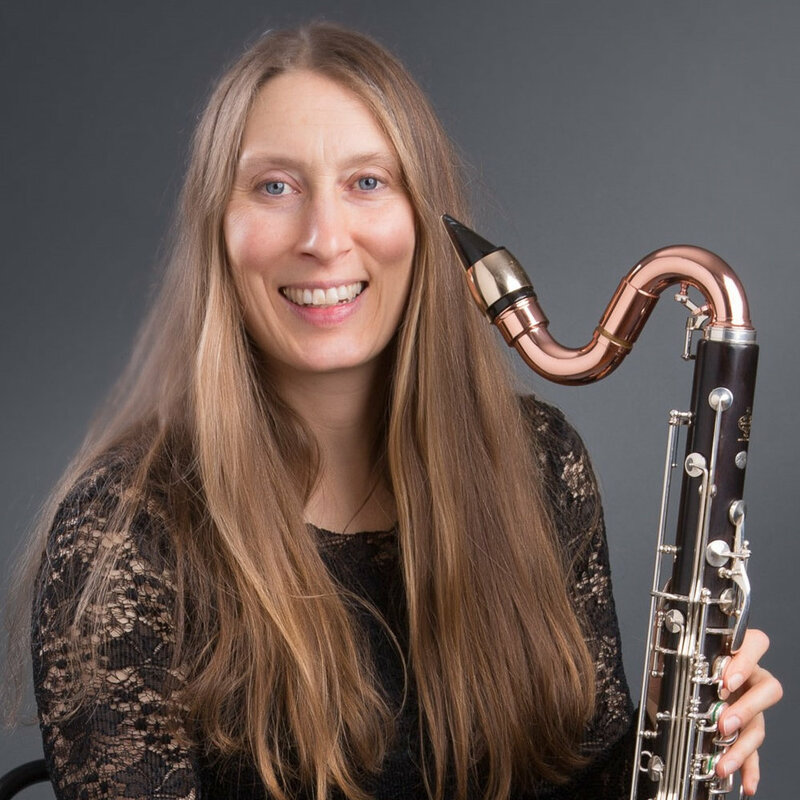 Beverly Setzer holds degrees in clarinet performance from the University of Washington. She enjoys playing a wide variety of music ranging from classical to polkas to jazz. Bev is a member of the Tacoma Symphony Orchestra, Cascade Symphony, the Bavarian Village Band, Roadside Attraction and the Mellifluous Zephyrs.